Pointed spread collar; button-down front. 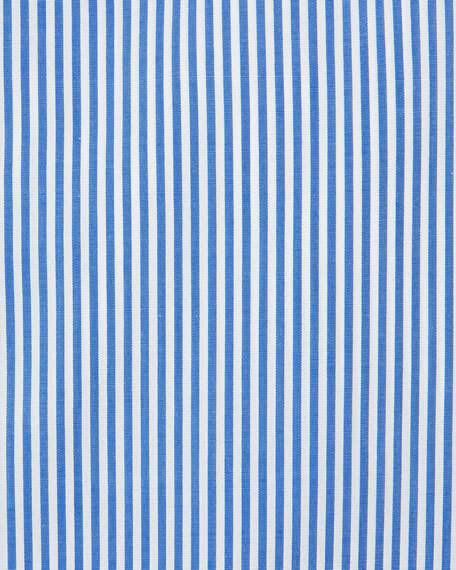 Cotton; machine wash or dry clean. For in-store inquiries, use sku #182744. 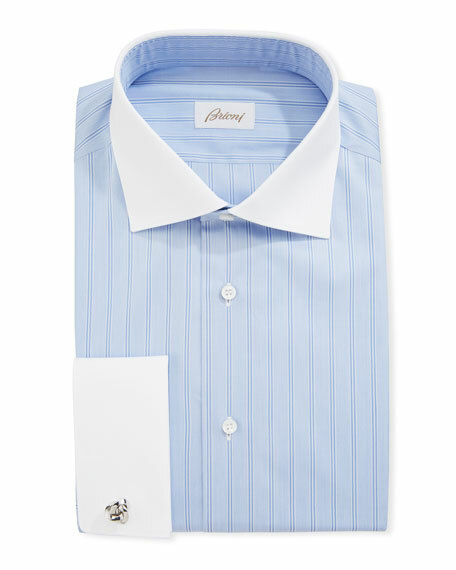 Brioni woven dress shirt in stripes. Contrast solid spread collar; French-placket button front. Contrast solid French cuffs (cuff links sold separately). Shirttail hem. Cotton. Handmade in Italy. Exclusively ours. 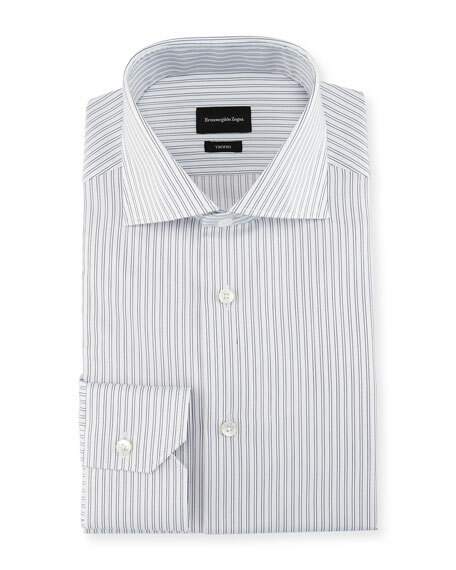 Ermenegildo Zegna Cento Fili dress shirt in stripes. 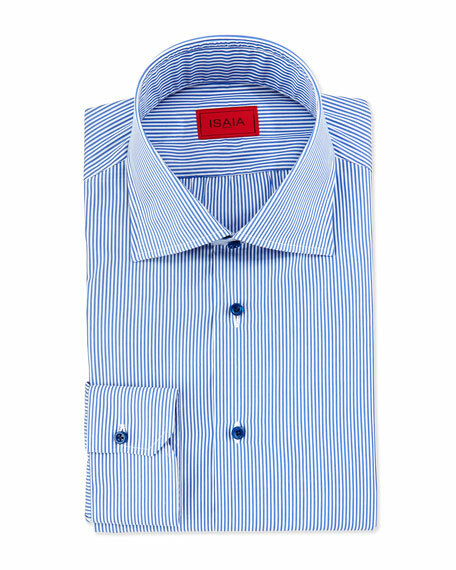 Italian point collar; French-placket button front with mother-of-pearl buttons. French cuffs. Tailored Milano fit. Shirttail hem. Cotton. Imported. 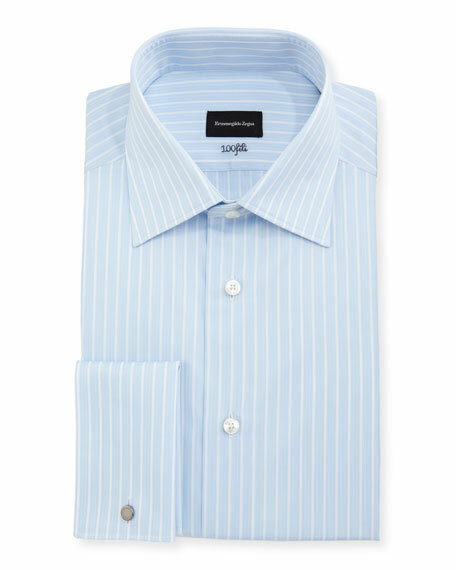 Ermenegildo Zegna Trofeo dress shirt in twin stripes. Spread collar; French-placket button front. Mitered barrel cuffs. Yoked back shoulders. Shirttail hem. Cotton. Imported of Italian material. 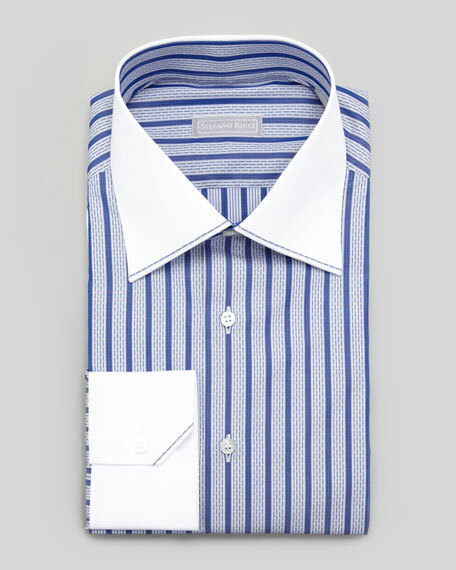 Woven dash-striped dress shirt with trimmed, contrast collar and cuffs. Spread collar; French-placket front with mother-of-pearl buttons. Long sleeves with mitered barrel cuffs. Stefano Ricci logo tag on inside. Cotton. Handmade in Italy.